General Practice Nursing is the first Australian textbook developed specifically for practice nurses. The textbook provides practice nurses with information on a range of clinical and professional topics in a concise, easy to read format. This textbook offers practice nurses information on a range of clinical and professional topics in a concise, easy to read format. General Practice Nursing offers evidence based, contextual information supported by case studies to assist nurses in applying theory to practice. Clinical topics such as immunisation, triage, mental health, wound management, pharmacology and chronic disease management will be coupled with more broad, general topics such as the role of the practice nurse, the Australian health system, the scope of general practice, building research capacity, evidence based practice, continuing professional development and nurse led care. To encourage reflective practice, each chapter includes questions throughout the text, testimonials and reflection questions. 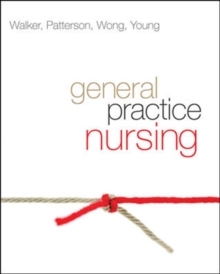 General Practice Nursing uses a similar format to the highly successful textbook John Murtagh's General Practice, with colourful, easy to read headings and photographs.